Behind every show, there’s a story, and ours has many layers. It starts with professionalism – in our dealings with the people who book us and how we conduct ourselves at the venue. We take the responsibility very seriously, we’ll always fulfil our promises, and we always give nothing less than 100% when performing. All this is based on a wealth of music industry experience over the years – we’ve learnt so much along the way and pride ourselves on our attitude and our offerings. Quite simply – no other band could offer more. And of course, it helps that the band loves what they do, and is full of truly talented people. Fantastic musicianship combines with high-energy, stunning vocals, spectacular costumes and plenty of audience participation to create an unforgettable event for everyone. We like to go the extra mile and think of things others don’t. And that includes the set design. ABBA Sensation uses a professional starcloth backdrop to create an exciting ambience. There’s dramatic lighting, stage banners and even authentic 5ft high ABBA letters! Using state-of–the-art lighting rigs and special effects Sensation really provide a show that is second to none – all designed to perfectly show off the fabulous replica costumes, with multiple changes throughout the performance. 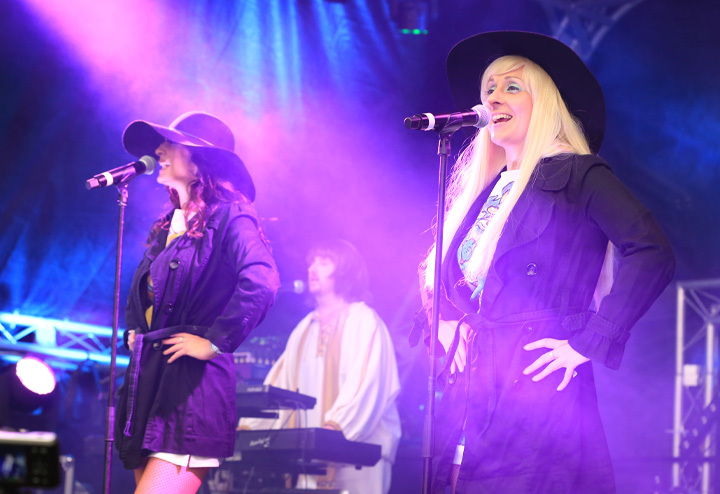 Sensation is more than just another ABBA tribute band – demonstrated time and again by how we leave the crowd shouting for more, long after the final encore! If you’d like to listen to audio samples or view a video of Sensation, visit the Media page. For more information or to make an enquiry please Contact Sensation.